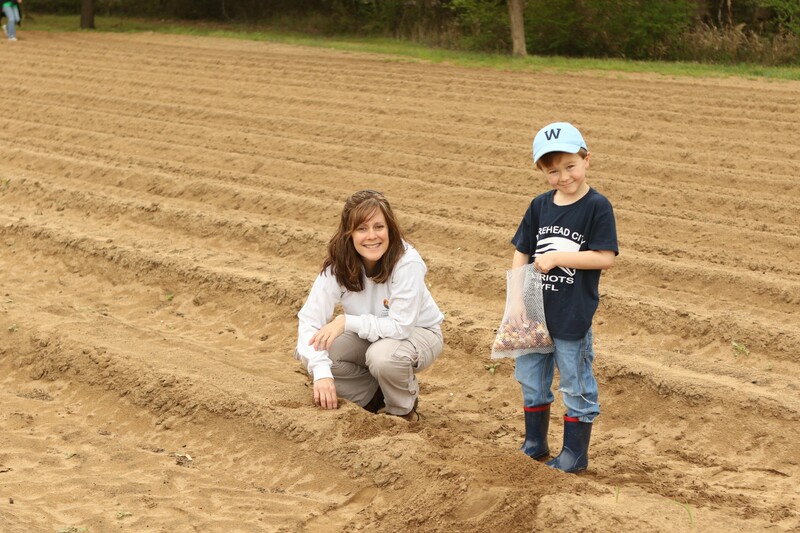 Dr. Lexia Weaver and her son, Rylan work together to plant onions in the garden. 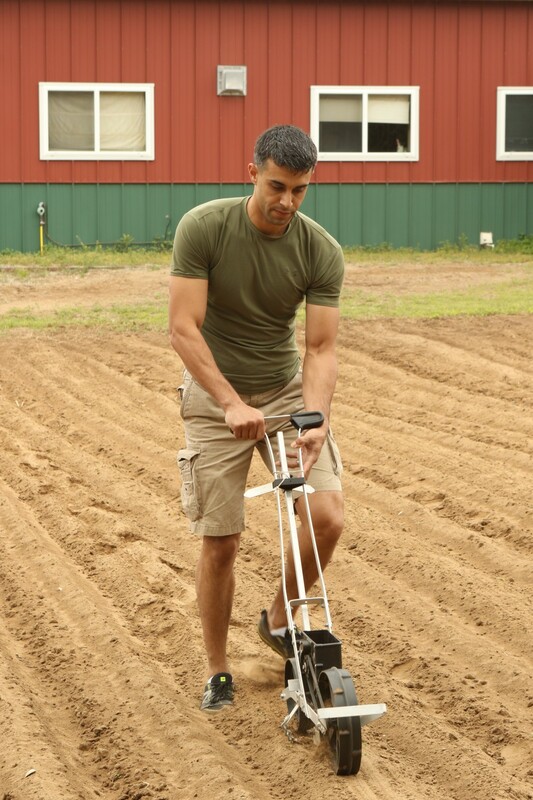 Patrick Brown plants corn seeds in the garden. 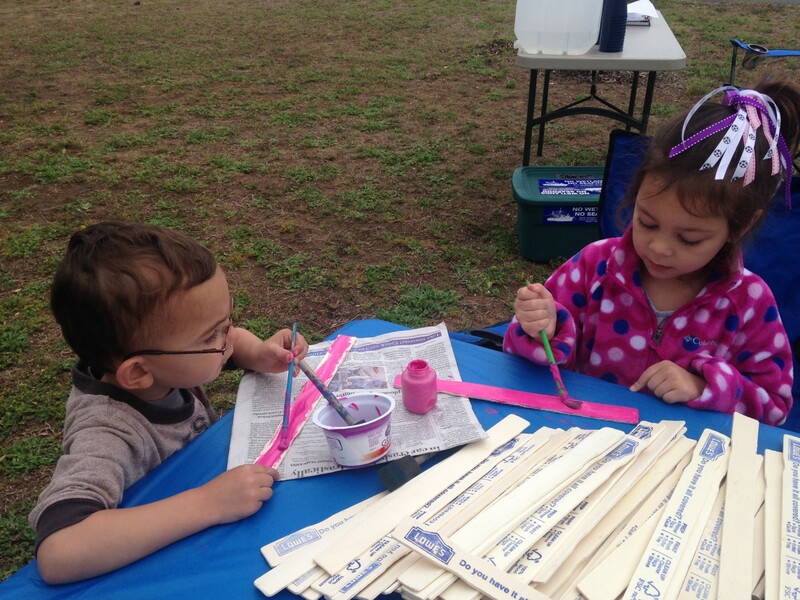 Some of the kids helped by painting labels for the vegetables. 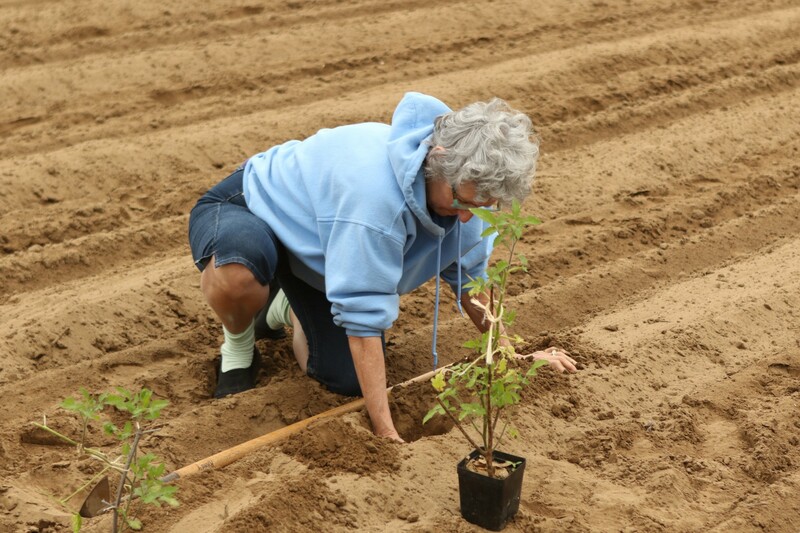 Jill gingerly plants tomato plants in the sandy soil. EarthWise, as it’s called, started with a seed — first planted in the imagination of an old man and then in the soil by his children. The North Carolina Coastal Federation’s small community farm that then sprouted is at the end of a dirt road, near Bogue Sound in Carteret County. People come down the road on Wednesday evenings to work the soil, hoe the weeds and collect the harvest, a wide variety of veggies and melons that everyone shares equally. Though the volunteers enjoy their buckets full of produce, the people will tell you there’s something more going on that brings them back to help. In the future, the garden will be used to teach students and educators about ways they can garden and protect coastal waters at the same time.